Cracked walls, peeling paint and a rust-water-stained rotunda are among the deteriorating conditions that greet visitors at Federal Hall. 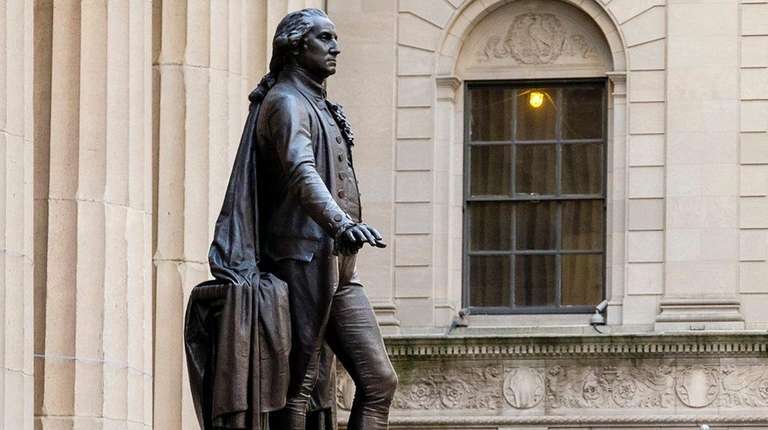 Federal Hall in lower Manhattan, one of the country’s cherished treasures and where George Washington was inaugurated in 1789, is now a decaying landmark. The building, on Wall Street, is one of 23 New York national treasures in dire need of a $1 billion maintenance upgrade and plans are underway to restore the national treasure. 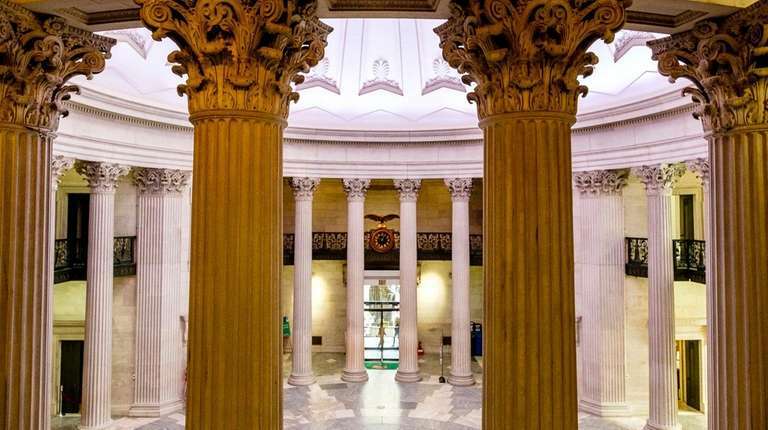 The price tag for the Federal Hall maintenance is $4.3 million. “I read with great interest [Ron] Chernow’s ‘Hamilton,’ and now I am halfway through his book on Grant, and as a New Yorker, an American, we should hold up the legacy of the country which started right here,” she said. What you didn't know about NYC's role in the American RevolutionNYC was occupied by the British during the Revolutionary War. Secrets of Alexander Hamilton's New YorkHe might've been the greatest New Yorker of all time.